Nick Walker’s work employs a good deal of wry humour, treating iconic figures with a refreshing irreverence such as his two images of the Mona Lisa and his print of the Houses of Parliament. Nick Walker has been influenced by films like Blade Runner and the visions of 2000AD into developing his own dystopian science fiction imagery. 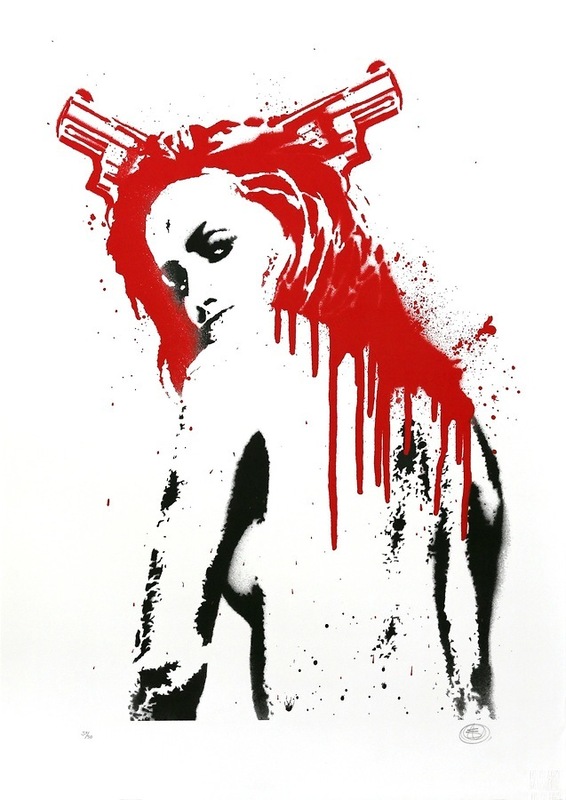 Well known works by Nick Walker include Gods We Trust, Vandal, The Morning After (TMA), Mona Simpson and 38 Pigtails.